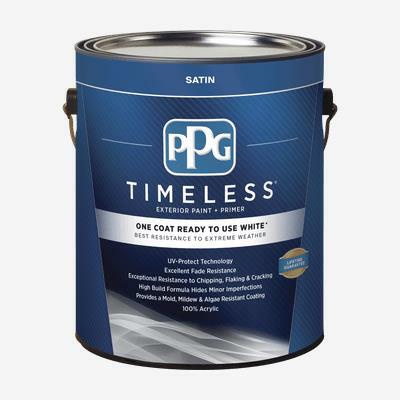 TIMELESS® Exterior Paint + Primer is formulated with our newest innovations and technology providing complete one coat* hide, coverage and durability. And now, with TIMELESS® Exterior One Coat Ready to Use, you get the convenience of a product that is already tinted. Provide a beautiful color to your projects and have the peace of mind knowing that the surface and the best resistance to extreme weather. ** The tough finish provides exceptional resistance to chipping, flaking and cracking and provides a mold, mildew and algae resistant coating.